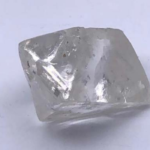 Western Australia-based Lucapa Diamond Company is offering several diamonds from its Lulo mine in Angola, central Africa, in a competitive bid. 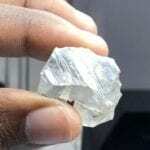 The sale will mark the first time diamonds have been officially sold in Angola since the country’s President Joao Lourenco introduced a new diamond marketing policy in August last year that democratised the purchase of the precious stones. 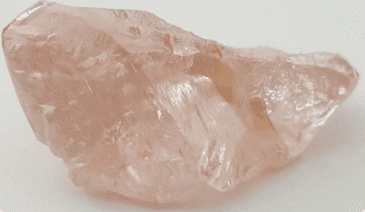 Lucapa is offering seven diamonds from Lulo in the sale (set to close on January 31) including one 46-carat pink and six white gems ranging from 43 carats to 114 carats. “Thanks to the positive marketing reforms introduced by Angolan President Lourenco and his government, the competitive event scheduled to close on January 31 will mark a significant milestone for both the Lulo mine and Angola’s diamond mining sector,” Lucapa chief executive officer Stephen Wetherall said. Sociedade Mineira Do Lulo (SML), which holds the mining licence for Lulo, is organising the sale. 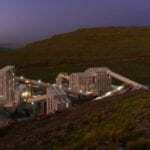 SML is a partnership between Lucapa, Angolan miner Endiama and company Rosas and Petalas. “The tender means transparency in the trading of diamonds and it is an inducement for attracting several investors in the diamond sub-sector,” Endiama strategic planning and mining operations executive Laureano Receado Paulo sale. While Lulo and the Lesotho-based Mothae project are Lucapa’s current flagships, the company is continuing to build its Brooking diamond project in the Kimberley region of Western Australia. The company recovered 1100 diamonds from the Brooking site, which is around 50km from the dormant Ellendale yellow diamond mine last August. 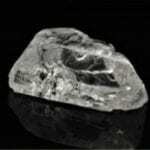 It followed this with the announcement of a diamond exploration program in October.